Happy Saturday. My daughter’s move went without a hitch and she is now safely ensconced in her very own home. I will barely notice the difference as she has rarely been at home for months as she had all but moved in with her partner. I used the peace and quiet this morning to catch up on some photos as I had been slacking a bit the last week or so. 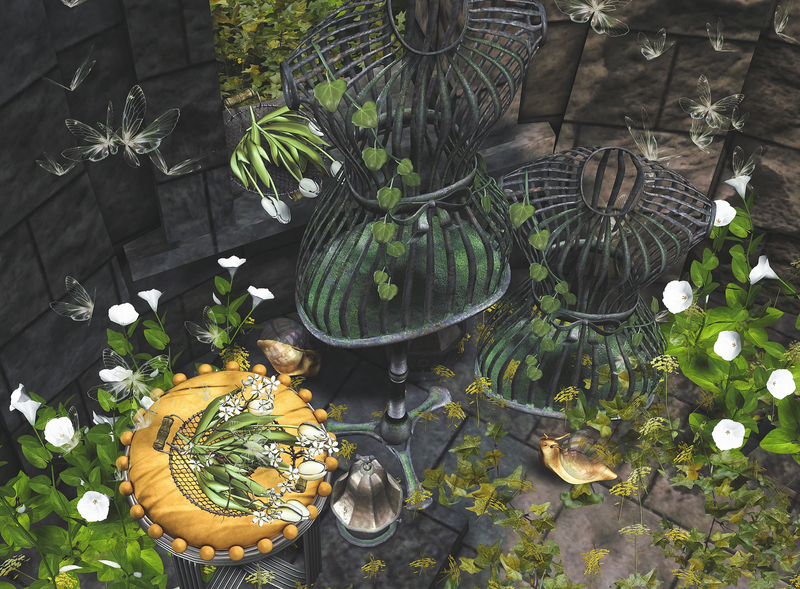 I’d done a little shopping yesterday at Shiny Shabby and picked up some new decor items from LODE which are always a big favourite of mine and they worked perfectly with this Secret Garden set from Dahlia and Topaz set from Granola. Anyways, I hope you all have a good weekend and enjoy the photograph!